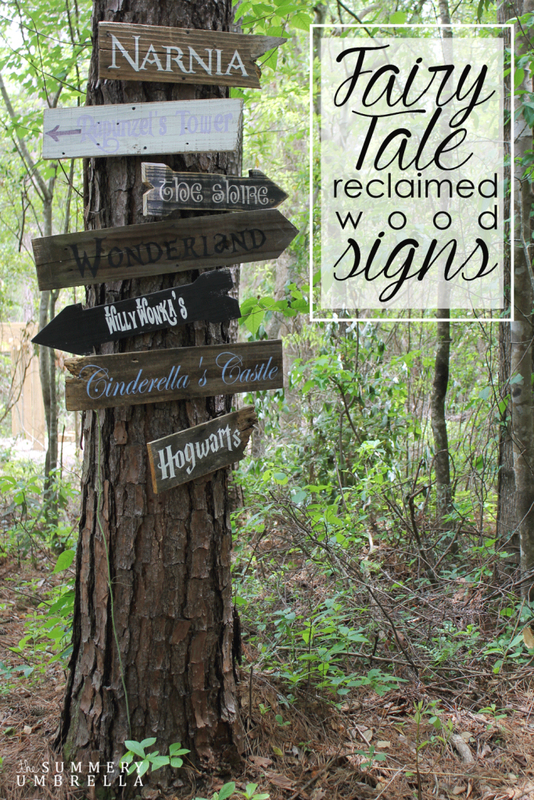 How cute would these fairy tale reclaimed wood signs look in your child’s play area? Learn how to make one or all of them today with free movie fonts I found. Also, I cannot take full credit for coming up with this idea. A few months back I saw a few different versions on Pinterest, and absolutely fell in love with this idea. Seriously, whoever originally came up with this is brilliant! REMINDER: Each of these fonts that you will need to download (except for Cinderella’s Castle) are for personal use only. In other words, please do not make any of these signs with the intent of selling them. This would be a huge copyright violation, and the owner(s) of these fonts can legally come after you. Copying is not nice! So, just click on each of the download links under the picture to get the free font. Need help making your own signs? Visit these tutorials! 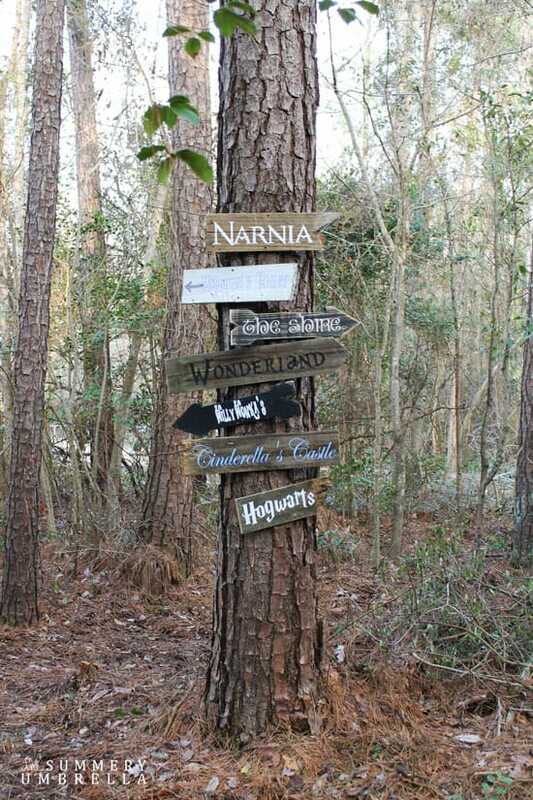 Here is a photo of each sign and under the sign is the link to download the movie font. 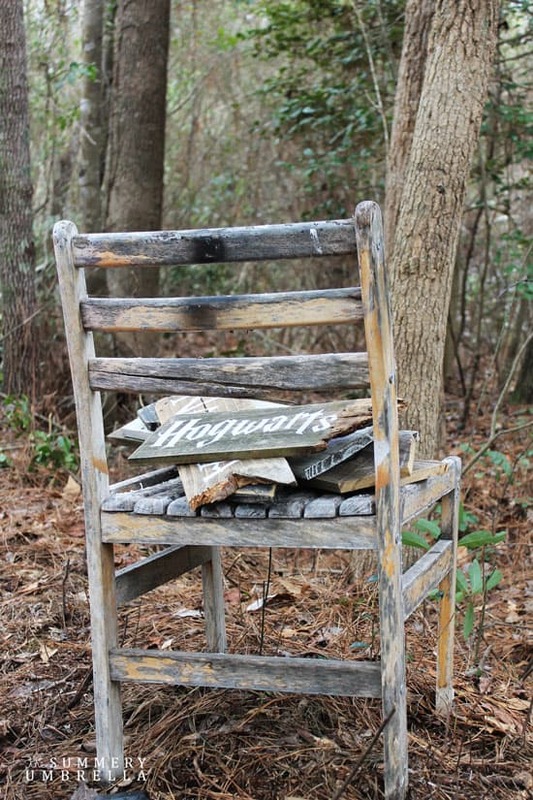 These are such a fun way to add a bit of magic to your home decor. Also, one last thing before I go! I know on Facebook there were a few concerns that I screwed my signs directly into my tree. Trust me, I originally thought this was a no-no too! However, after doing a little bit of research for myself I found that a mature tree (like the one I used) will heal and be perfectly fine. The biggest concern is when the tree is too young or is already ill with decay. 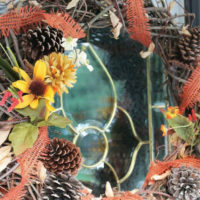 You can check out one of the articles I found via HGTV here. Pssttt…. Don’t forget to check out my DIY signs page chocked full of DIY and decorating goodness! This is so adorable! 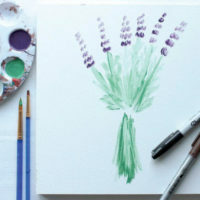 Stopping by from Show and Tell and pinning to Pinterest for a later summer project! Awwwww, you included girly places, too! Love it! And thanks for connecting us with the free fonts, I’m crushing on that Willy Wonka one. I want to do this at my house. Thanks for posting. Hello from Busy Monday. Love this! We just came back from Disneyland so this is perfect timing! 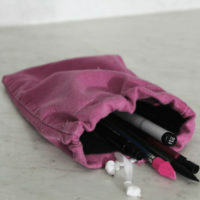 I am pinning and will be creating several of these for my daughters. Thanks! That is perfect timing! Your daughters are going to love you even more ;) Happy sign-making! Thank you so much Jenna!! So psyched to be apart of your party!! Love these, thanks, I’ve wanted a Hogwarts type font for ages – no idea what I will use it for, but it just feels like something I should have! What technique did you use to paint the fonts on the boards? Hi Linda! I used my Silhouette Cameo to create the stencil, and then Liquitex Spray Paint. Multiple and thin layers! Our post went live this morning with these adorable signs. .Here’s the link if you’d like to share. Oh my goodness, what an awesome project! And these fonts! THANK YOU!!! Thanks so much for taking the time to link up with us over at the #HomeMattersParty – we hope to see you again on Friday! Lz these are adorable! What a great idea! How fun would this be next to a play house! Thank you for sharing at Dream. Create. Inspire. Link! I hope we’ll see you there again tonight! I love this and I’d like to try it! But how do you trabsfer the lettering to the wood?